A native of North Carolina, Lynette Moore Sandley has taught at Samford since 1997. She was a program coordinator for Communication Arts from 1999-2014 and was promoted to Assistant Professor in 2007. She currently teaches Communication Arts, Cultural Perspectives, and creative writing but has also taught oral communication and London studies topic courses for Samford. Study abroad has been integral to her growth as a scholar and educator. 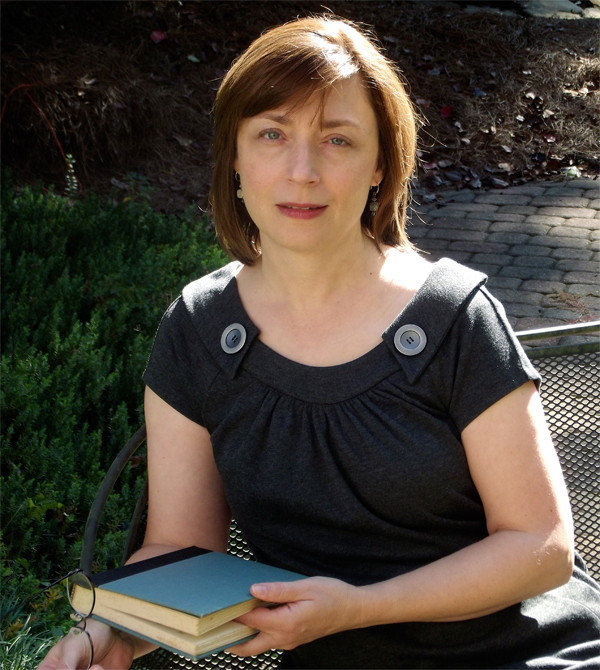 In 2002, she collaborated with faculty from the University of Maastricht as part of a Transatlantic Cooperation for Problem-based Learning in the Humanities grant and has presented at two international conferences and across the United States on the rhetorical problem within composition and the challenges of transforming written communication for an oral audience. Sandley has also presented dramatic criticism at multiple national conferences. In the fall of 2010, she was faculty-in-residence at the Daniel House in London. In addition to teaching, Sandley served as Director of Service-Learning from 2002-07 under a Lilly grant, and during this time, thirty-one service-learning courses were added to Samford’s curriculum. An interdisciplinary teacher and scholar, Sandley seeks to infuse ethics and social justice into her Core Curricular courses. Off campus, Sandley enjoys cooking Latino, pan-Asian, and North African dishes. She enjoys theatrical productions, hiking, and gardening. Sandley is married to Don Sandley, Professor of Theatre and Dance in Samford’s School of the Arts. Communication Arts: A Student’s Guide, edited by Lynette M. Sandley, Kathy Flowers, Billye Currie, and Betsy Emmons. Pearson Learning Solutions, 2010. First-Year Research Writing, written in cooperation with Manuel Stoffers of Maastricht University, Netherlands, edited by Julie Steward, Samford University. A booklet on problem-based learning and first-year research writing assignments as part of the Transatlantic Cooperation for Problem-based Learning in the Humanities. Summer 2002. Communication Arts: A Student’s Guide, edited by Lynette M. Sandley. Acton, MA: Copley Custom Publishing Group, 2002. “Service-Learning in Samford University’s Communication Arts 101.” Published in Service-Learning and the First-Year Student: Preparing Students for Personal Success and Civic Responsibility(Monograph No. 34). Edited by Edward Zlotkowski. Columbia, SC: University of South Carolina, National Resource Center for the First-YearExperience and Students in Transition, 2002. A Student’s Guide to Communication Arts by Johnson, Sandley, and Chapman Dubuque, Iowa: Kendall/Hunt, 2000. A Flea in Her Ear, adaptation of Georges Feydeau's play along with Don Sandley. Produced at Samford University, November 11-16, 1999. Birmingham, Alabama. “A Circle of Leaves” (poem) Voices International, Winter 1995. Little Rock, Arkansas. North Carolina Writers Network Conference, April 2017. Participant in Fiction Master Class with David Payne. University of North Carolina Greensboro. Association of Core Texts Courses Conference, April 2016. "Aeschylus' The Oresteia: Exploring Current Socio-political Themes Through the Ancient Trilogy." (paper), Atlanta. Association of Core Texts Courses Conference, April 2015. "Page and Stage: Helping Students Make Sense of Chekhov's Darkest Play, Three Sisters. (paper), Plymouth, Massachusetts. Samford's BTtoP Core Curricular Projects. June 13-14, 2011. Bringing Theory to Practice, Washington, District of Columbia. BACHE Women’s Conference,Served on a Criminal Justice Panel and spoke about profiling women at the Lovelady Center, many of whom have come out of Tutwiler Prison. March 3, 2009. Miles College, Birmingham, Alabama. Samford in Mission Service-Learning Course Development Faculty Academies along with Jan Shoemaker, Director of Service-Learning LSU, and Dan Sandifer-Stech, Associate Director of Samford-in-Mission, May 31-June 2, 2006 and June 1-3, 2005. Samford University, Birmingham, Alabama. Integrating Service-Learning into Undergraduate Curriculum,January 2006. Judson College, Marion, Alabama. Faith, Vocation, and the Core Curriculum: A National Symposium, October 12-14, 2005. General Session. “Service-Learning in Communication Arts.” Samford University, Birmingham, Alabama. Gulf South Summit on Service-Learning, Community Engagement, and Higher Education, March 2004. Panel Presentation with Kathy Flowers and Don Sandley. “Helping Students Find Vocation: How Service-Learning Validates Choice of Major for Biology and Theatre Undergraduate Majors.” Tulane University, New Orleans. Gulf South Summit on Service-learning, Community Engagement, and HigherEducation, February 2003. Poster Session. “Service-Learning in Communication Arts.” The University of Southern Mississippi Gulf Coast Campus, Long Beach, Mississippi. National Communication Association Convention, Fall 2001. “Bringing Down the Barricades: An Integrated Communication Arts Course” (Panel Presentation) Atlanta. National Conference on College Composition and Communication, Spring 2001. “The Instructor’s Role in Defining the Rhetorical Problem: Whose Problem Is It?” (Panel Presentation) Denver. PBL 2000: An International Conference on Problem-Based Learning in Undergraduate and Professional Education, Fall 2000. “PBL in Social Science and Community-Based Programs” (Pre-ConferenceWorkshop) Birmingham, Alabama. Poetry Retreat at Lake Eufala, Oklahoma, Fall 1996. Guest Speaker on Fiction Writing Oklahoma Baptist University’s English Club. Southwest Conference on Christianity and Literature, Fall 1996. “Marlow’s Confession of Lies” (paper), Tarleton State University, Stephenville, Texas. Nineteenth Century Russian Literature Graduate Seminar, Summer 1996. Guest Speaker on Chekhov’s Drama, The University of Central Oklahoma Edmond, Oklahoma.